Benjamin Moore’s Colour of the Year and Colour Trends 2019 is here. Take a look back at the enduring nature of our curated Colour Trends palettes. Here, you’ll find a range of paint colours from Colour Trends palettes over the past five years. We’ve organized them by colour family, so you can easily see the range of highlighted hues. And don’t miss our line-up of previous Colours of the Year–scroll all the way down to check them out! 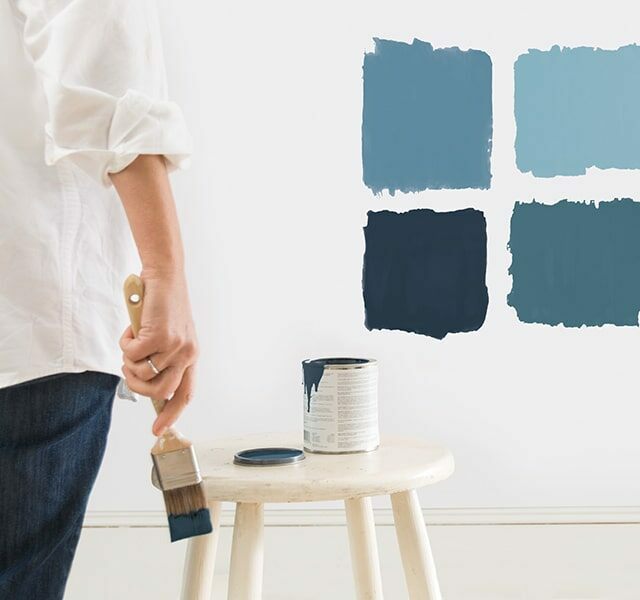 From subtle to energizing, these popular blue paint colours offer homeowners exceptional versatility. Blue-green paint colours are not only timeless, they are sure to create a sense of calm and tranquility. Known as nature’s neutral, the colour green ranges from soothing to dramatic, and is sure to freshen up any room. Always popular, neutral paint colours create an inviting backdrop, and beautifully highlight bolder hues. Royal and rich, purple paint colours add both high impact and understated elegance. Red paint colours–whether romantic, rustic or somewhere in between–always makes a design statement. The Benjamin Moore Colour of the Year is based on a wide range of influences and extensive research; here are several recent selections.